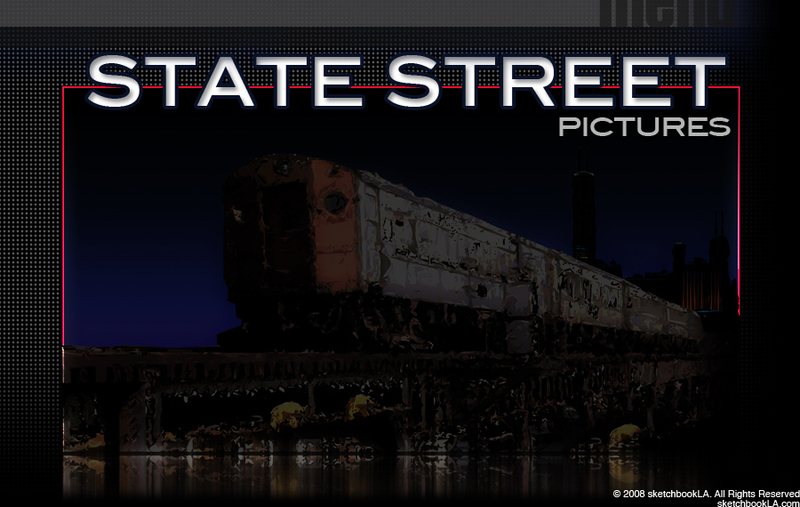 Bob Teitel (producer) & George Tillman (Director / Producer) have been partners in their multimedia production company State Street Pictures for over 18 years. 11 of those 18 years, the two have had an on-lot studio deal with 20th Century Fox specialty division Fox 2000. Their feature SOUL FOOD was released by Fox 2000 (Tillman directing & Teitel producing) and starring Vanessa Williams, Vivica A. Fox, Nia Long, Mekhi Phifer, Michael Beach, Irma P. Hall and Brandon Hammond. The film was modestly budgeted at $7 million and opened to critical and financial success, grossing over $43 million domestically. Tillman & Teitel next teamed on MEN OF HONOR, also released by Fox 2000. The film starred Oscar winning actors Robert De Niro, Cuba Gooding Jr. & Charlize Theron. Budgeted at $48 million, the film opened to critical and financial success grossing over $50 million domestically and over $100 million worldwide. critics alike, BARBERSHOP opened to record breaking box office success with upwards of $75 million at the box office and successfully crossed over to all demographics and markets. Hot on the heels of their last feature came Tillman & Teitel's sequel BARBERSHOP II: BACK IN BUSINESS with the same cast but adding Queen Latifah. The film ranked number one-- its opening weekend, even bigger than its predecessor, opening at $24.2 million and went on to make $65 million in total box office revenue. Next up for State Street Pictures was ROLL BOUNCE, a dramatic comedy starring rapper/actor Bow Wow, Chi McBride, Kellita Smith, Jurnee Smollett, Meagan Good, and Nick Cannon. Malcolm Lee directed. The company has also made their mark in television with "Soul Food" the series for Showtime Networks. “Soul Food” was the longest running African American themed television drama with 75 episodes. Soon after, "Barbershop" the series debuted on Showtime and that same year the company produced a comedy special entitled: “The Brandon T. Jackson Show” an edgy teen variety show starring Wayne Brady and Brandon Jackson for the Noggin Network. State Street most recently finished production on two films, NOTORIOUS and HUMBOLDT PARK. NOTORIOUS is the biopic about the hip hop artist Notorious B.I.G., produced for Fox Searchlight, starring Angela Basset, Derek Luke and Anthony Mackie. The project finds Tillman back in the director’s chair with Teitel producing alongside Voletta Wallace, Wayne Barrow, Mark Pitts and Sean “Diddy” Combs exec producing. HUMBOLDT PARK, produced for Overture Films, is the first ever Latin Family comedy with a cast that includes John Leguizamo, Debra Messing, Alfred Molina, Freddy Rodriguez, Luis Guzman and Jay Hernandez. State Street is also producing PHENOM at Screen Gems starring Chris Brown, which is a family drama set in the world of professional basketball. Also on tap is COYOTE SEASON with Spitfire Pictures and the Hammer Film Fund with Malik Bader directing, BUA: THE BEAT OF URBAN ART, which tells the story of the birth of hip hop through a mixture of live action and state of the art animation, CHAMPIONS, an urban comedy with Fox 2000 in the vein of PARENTHOOD, SAMURAI, with Fox Atomic, an action adventure film shot in the style of 300 and BOBBY MARTINEZ, a true life story of an LA Gang member who quit his dangerous life and became a world champion surfer, which is set up with Participant Prods. Co-producer - Rene Rigal - a native of Puerto Rico – is the Vice President of Development and Production and heads up the busy film and television slate of State Street Pictures, as well as Teitel and Tillman’s Latin division. Taking the ingredients of success that has branded State Street Pictures, the company has a commercially deep development slate with over 50 feature film projects and 15 TV projects in development with top directors, writers and talent.